Below are listed our external pole displays for use with our compatible EPoS systems. 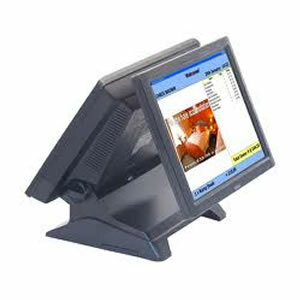 Some EPoS systems will have the customer display integrated into the back of the touch screen or base unit. This can be either 1-line or 2-line. 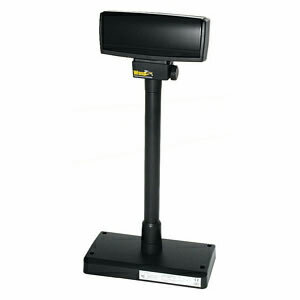 For other systems, you may need to purchase and connect a peripheral Pole Display. 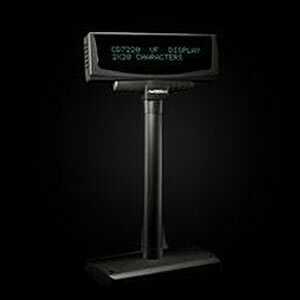 These are usually 2-line, 20 character displays, available in matching colours and adjustable pole heights. 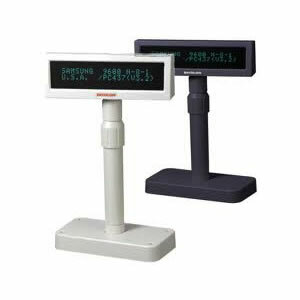 You will need to check the EPoS software specification to determine which make/model and interface of pole display will be compatible. If you EPoS software supports it, larger size rear customer displays (with our without touch functionality) are available if you require customer interaction or wish to display advertisements or presentations. Friday 19-April-2019 23:25 Our office is currently closed. We will be open again from 10am tomorrow.